Ball Pythons (Python Regius) is one of the smaller species of Python which originate from West Africa. This species of Python has become one of the most popular snakes in the pet trade. Their reasonable size of 4-6 foot as adults is perfect for all levels of snake keepers. Their diet as babies consists of rodents as small as a fuzzy mouse all the way to a small weaned mouse. As adults they typically feed on medium rats. In recent years Ball Pythons have become popular in the investment snake market because of their relatively ease of breeding and wide range of color mutations. 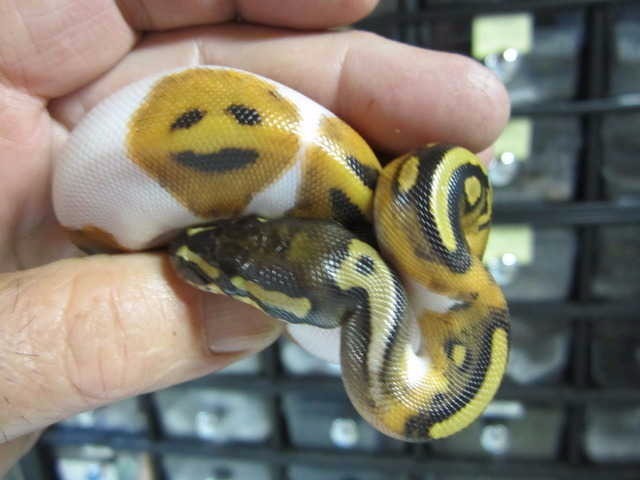 While the breeding season typically starts in early November and goes through early spring, there have been cases of Ball Pythons being produced in every month in captivity.